Palgrave MacMillan Trade, 9780230113862, 288pp. "Nada Prouty served her country loyally, with distinction, and, as universally acknowledged by her colleagues, with great personal courage as a CIA covert officer. This tale of rampant trampling of citizen's rights is a vivid reminder of the responsibility of citizens to be vigilant against unaccountable government overreach if we hope to keep a strong democracy, where the rule of law prevails and where a citizen is presumed innocent until proven guilty." When Nada Prouty came to the United States as a young woman, she fell in love with the democracy and freedom of her new home. 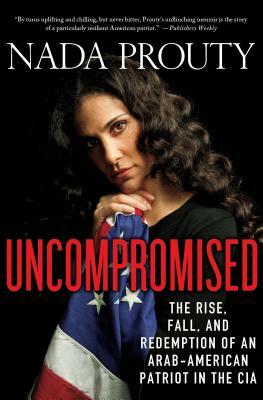 After a childhood in war-torn Lebanon with an abusive father and facing the prospect of an arranged marriage, she jumped at the chance to forge her own path in America-a path that led to exciting undercover work in the FBI, then the CIA. As a leading agent widely lauded by her colleagues, she worked on the most high-profile terrorism cases in recent history, including the hunt for Saddam Hussein and the bombing of the USS Cole, often putting her life on the line and usually getting her man. But all this changed in the wake of 9/11, at the height of anti-Arab fervor, when federal investigators charged Prouty with passing intelligence to Hezbollah. Lacking sufficient evidence to make their case in court, prosecutors went to the media, suggesting that she had committed treason. Prouty, dubbed "Jihad Jane" by the New York Post, was quickly cast as a terrorist mastermind by the relentless 24-hour news cycle, and a scandal-hungry public ate it up. Though the CIA and federal judge eventually exonerated Prouty of all charges, she was dismissed from the agency and stripped of her citizenship. In Uncompromised, Prouty tells her whole story in a bid to restore her name and reputation in the country that she loves. Beyond a thrilling story of espionage and betrayal, this is a sobering commentary on cultural alienation, the power of fear, and what it means to truly love America. Nada Prouty was an undercover spy for the FBI and CIA for over a decade, working on a host of high-profile terrorism cases, including the bombing of the U.S.S. Cole. She was also part of the team that developed the intelligence on the whereabouts of Saddam Hussein. Today, Prouty cares for her two young children, speaks about her experience nationwide, and awaitsthe reinstatement of her citizenship.